Dr. Goddard observes a launch from his control shack in the 1900s. 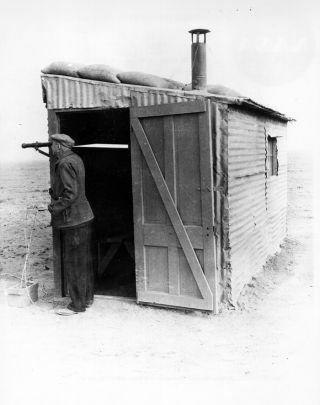 In this historical photo from the U.S. space agency, Dr. Robert H. Goddard observes the launch site from his launch control shack while standing by the firing control panel. From here he can fire, release, or stop testing if firing was unsatisfactory. The sandbags on the roof provide protection against possible accident.